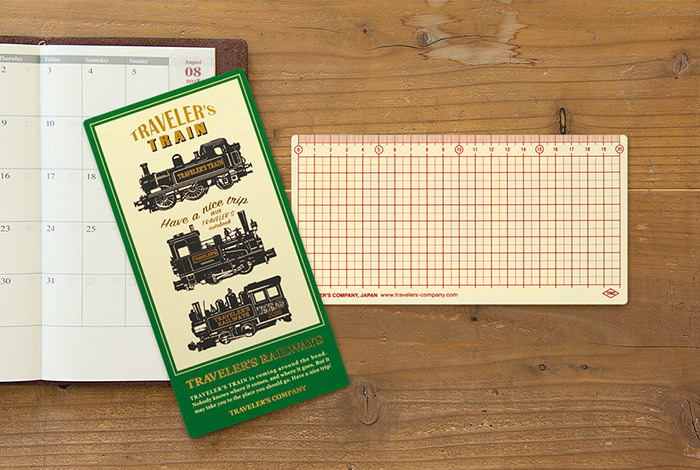 This “Plastic Sheet”is convenient in many ways during your journey, whether used for writing while standing up, as a bookmark for quickly jumping to the right page, or for drawing straight edges. The 2018 model is designed after the motif of the TRAVELER’S TRAIN. 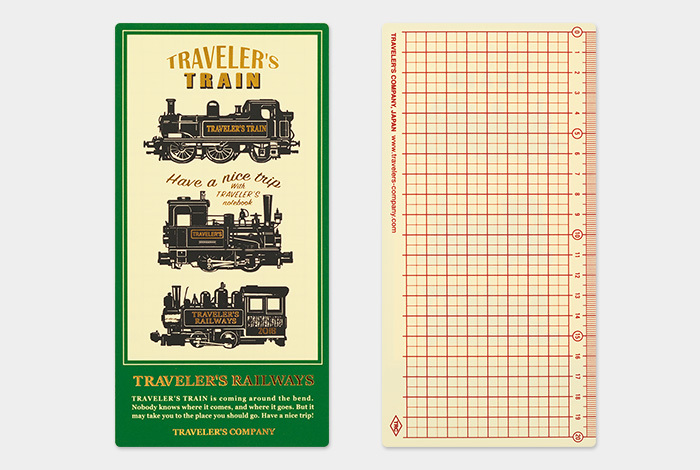 The regular size is printed with TRAVELER’S TRAIN steam engines and is stamped in gold leaf.